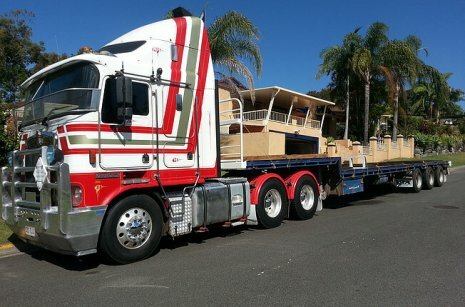 OTM Transport are all equipped with a flatbed for easy and versatile load transport. 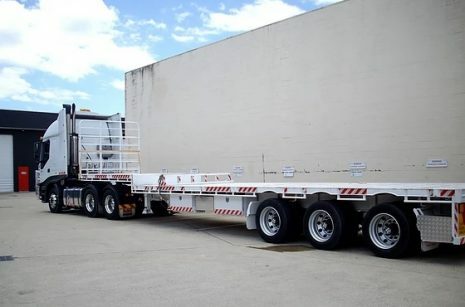 Flatbed trucks are the most commonly used transport vehicle in the industry and are able to carry any load, any size. Our fleet of trucks offers you a variety of deck sizes depending on your needs. Ranging from 6 tonne to 24 tonne load capacity we can provide you with a transport solution for your products or goods. 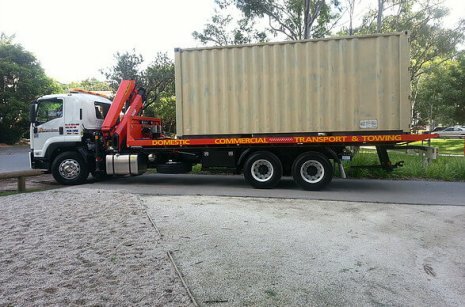 We can even offer you container transport if you desire. OTM Transport is the only transport company that you will ever need. 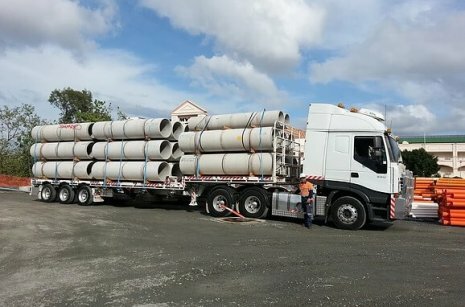 Servicing Gold Coast, Brisbane, Ipswich, Toowoomba, Sunshine Coast, Northern NSW and beyond, we can transport your goods anywhere in the country. 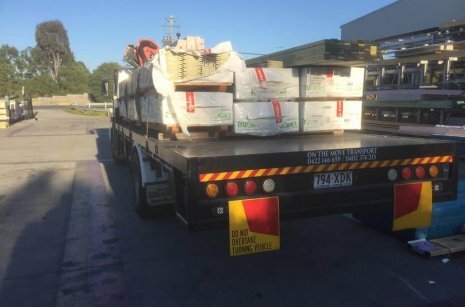 Our trucks are able to carry any load from concrete slabs, timber, machinery, signage, 20’ and 40’ containers and steel. Our flatbed trucks are fully maintained and serviced to provide you with transport services that are on-time every time. Ideal for use in the building, construction and logistics sector, flatbed trucks make delivering loads simple and convenient. With our trucks providing you with a cost-effective transport solution you do not need your own fleet at all. Every OTM Transport truck has an experienced driver that will transport your goods safely to your desired destination. Each one of our drivers and assistants is fully certified and ticketed for the truck they operate. We pride ourselves in regularly testing our drivers for compliance in order to provide you with the best professional and friendly service each time you use OTM Transport trucks. Our drivers are the best in the industry and they strive to provide you with the most efficient and expert advice for your transport needs. Our friendly and helpful drivers have a reputation for being the best of the best across the country. 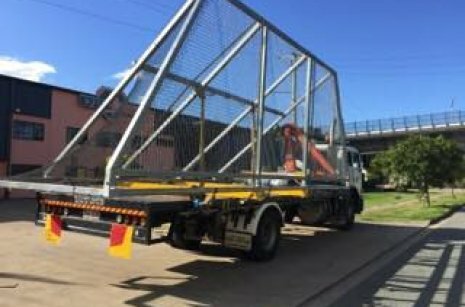 No matter what the size or shape, if you want to move your products or goods from A to B, OTM Transport has the perfect solution for you. With up to 24 tonne capacity our flatbed trucks offer the most versatile and economically viable transport solution in the business. Our expert staff and well-maintained fleet of trucks is the best fit for your company and with us, as your transport provider, you can take your company to the next level in your industry. We look forward to partnering with your organisation in the future.